● Sign up for Florsheim’s mailing list and be the first to know about its special offers and exclusive promotions. ● Florsheim offers free shipping when your order amounts to $100 or more. ● You can get up to 30% off on clearance items, which are mostly, but not limited to, dress shoes. Florsheim visitors are going to be able to take advantage of deeply discounted prices on all of the latest footwear products from this designer just by visiting the site. Customers will be able to go through the 2015 Fall Collection online (as well as browse previous collections that still have products available in stock), and can also sort to all the different product options by gender or collection. Customers in the lower 48 United States will receive free shipping on every purchase of $100 or more, and everyone has the opportunity to take advantage of expedited and express shipping options at discounted rates after they have signed up for the free email newsletter subscription. 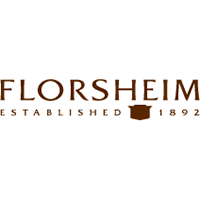 For most up to date offers check out Florsheim on Facebook and Twitter or contact Florsheim Support for any questions.